Working to Tree Up Park View | Park View, D.C.
A Chinese Proverb says: The best time to plant a tree was 20 years ago. The second best time is now. With this in mind, I have begun an outreach effort to residents on streets that contain no street trees in the neighborhood. The short video below provides a general introduction. Neighbors have mentioned to me on many occasions a desire to have more shade trees in the neighborhood. This is especially true on Warder Street and the tree-deprived streets south of Newton Place. On streets with empty tree boxes, I’ve consistently requested new trees and nearly all of our tree boxes are full. I’m also dedicated to working with DDOT whenever opportunities arise to include trees during sidewalk improvement projects. Even with this, some of our community streets are unlikely to ever include public space for street trees. Talking to a neighbor about the value of trees. With this in mind, I’ve begun to reach out to residents on Manor Place, Park Road, and Luray Place to see who would like a tree. While these blocks don’t have room for tree boxes, they do have several yards large enough for a shade tree. If there is enough interest in trees on these blocks, we can get trees through the Casey Trees Community Tree Planting Program. These blocks, along with parts of Newton and Warder, were part of the original Park View development and date from 1907 to 1910. I’m fairly certain that the original trees in this part of the neighborhood were located in the yards and not along the streets. 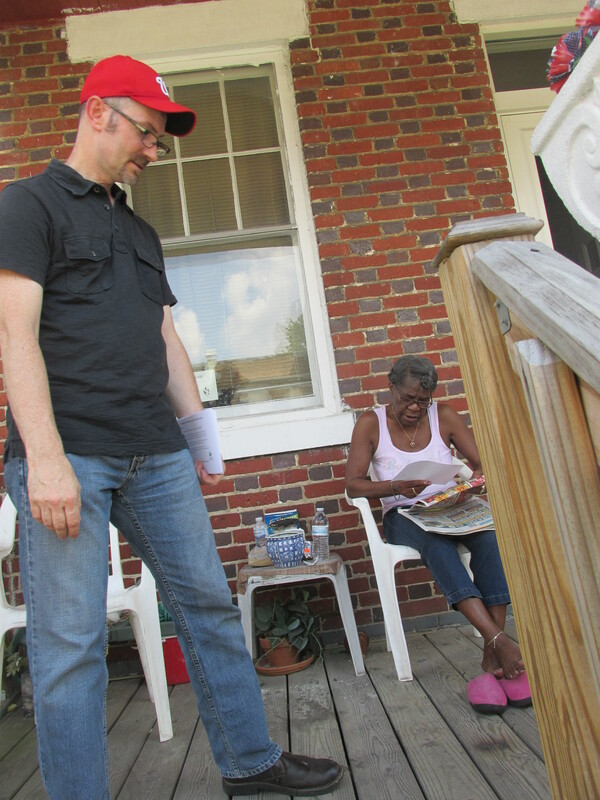 While I’ve already distributed flyers on the aforementioned blocks, I will continue to reach out to households where there is enough yard to support a tree. If this approach is successful, we should be able to grow a healthy tree canopy on all but a few treeless blocks. This entry was posted on July 27, 2015 at 6:01 am and is filed under Streets and Trees, streetscape. You can subscribe via RSS 2.0 feed to this post's comments. What we need is reps not focusing on tree cover to protect us from the sun, but instead focus on how to get the police to protect us from the increase in crime in our neighborhood. – Solve the Bus Stop Problem – a locus of loitering and criminal activity. 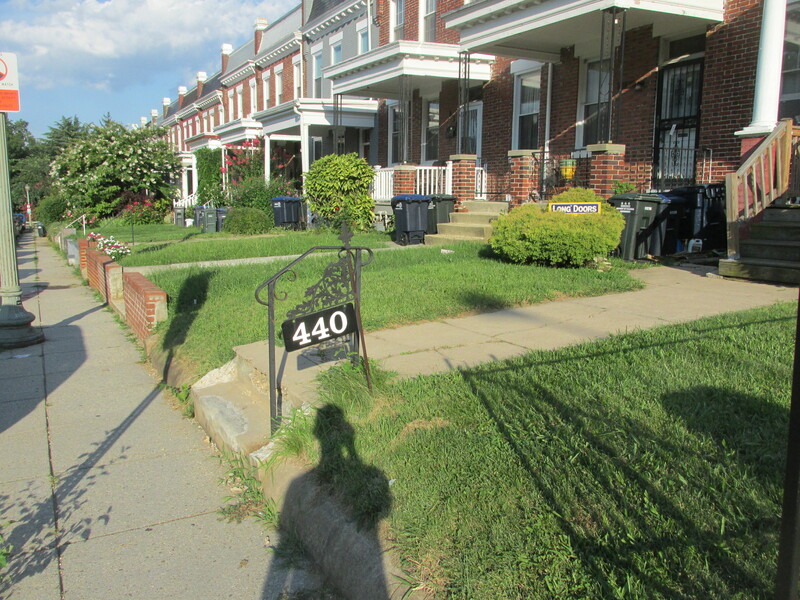 – Community Improvement – graffiti cleanup, trash pickup, etc. I wonder if that woman wants to sell her house. A few condos and some trees would be nice. If you showed up to the police service area meetings you would know that Commissioner Boese has put in countless hours on crime and continues to prioritize this issue. The fact that he is now pounding the pavement to dedicate additional unpaid hours in service of the community is something that should be applauded. Not snarked at from behind your comfy desk. I appreciate Kent’s efforts to increase tree cover in Park View. Great work Kent. We worked with Casey Trees to get the trees in our yard. Very affordable too. Park Rd and Warder have two government lots that could take trees. I believe that is where you are standing in the video. There is definitely room for a stately oak. I would love to include the East side of Warder between Otis and Rock Creek Church Road. Big yards and no trees on that side!